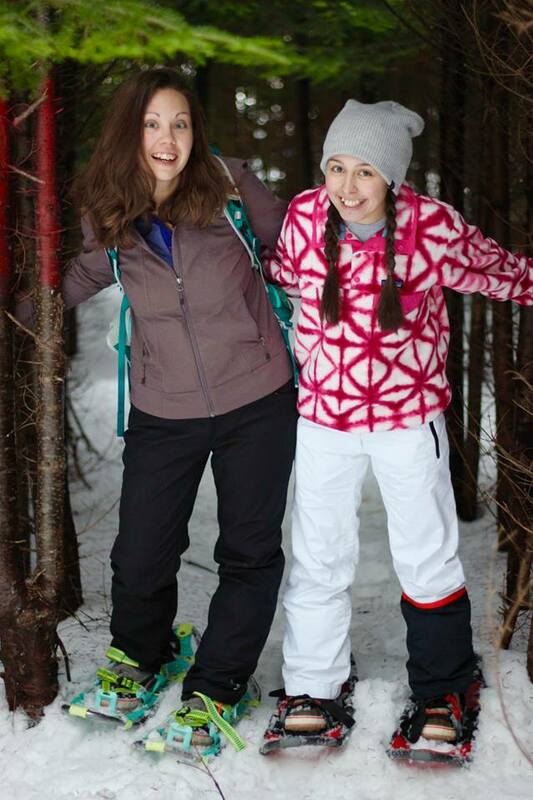 Snowshoeing is a great winter activity for the entire family to enjoy! With seven trails right on site, you don’t have to travel far to enjoy a leisurely trip with a relaxing break by the lake’s edge. With interconnecting trails, you can make your trip a short half hour walk or an afternoon excursion. The Ferguson Trail takes you right along the shoreline, where some guests have watched otters place on the ice. The Boundary and Deer Trails take you deeper into the woods where you will enjoy peaceful quiet and perhaps be accompanied by a squirrel or partridge. Ask the managers for a trail map and conditions when you arrive. Looking for more? We’ve got great news! There are a few other great trails in the area we suggest you check out! 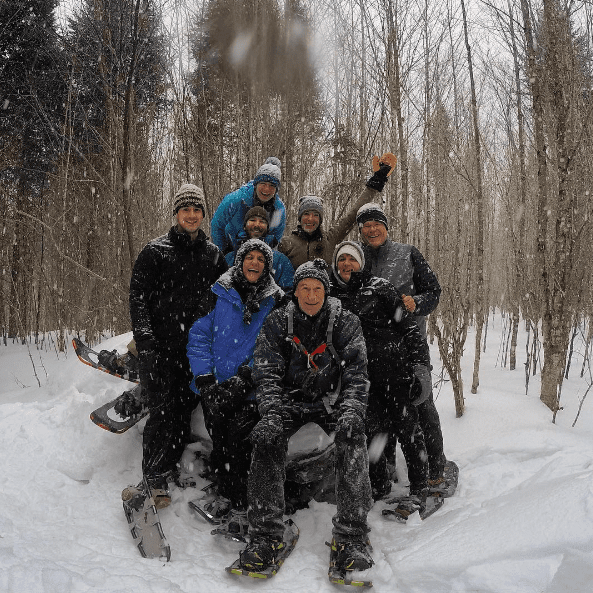 The Birches: 9 miles away, the Birches offers groomed trails for snowshoers and cross country skiers. Enjoy a day out on the trails and finish your trip off with a drink at the bar, or a delicious meal before heading back to camp. Squaw Mountain: Not only is Squaw a great place to hit the slopes, they also offer 10k of groomed snowshoeing and cross country skiing trails. They also have a small snack bar in their lodge with food served by our local legend, Chef Abby Freethy of Northwoods Gourmet Girl. Lily Bay State Park: Located the farthest from us, these trails take you along an incredible lakeside adventure on the opposite side of the lake. This trip would be best paired with a day of shopping and dinner out in Greenville. Ask our managers for restaurant suggestions! There is a small state park fee for entry. Any Nearby Mountain: Any of the local mountains are great for snowshoeing, yet some may be far more challenging than the trails we have shared. Little Squaw and Eagle Rock are both great choices. 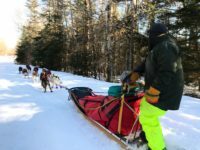 If you are feeling like you need more, check out the Moosehead Pinnacle Pursuit Winter Challenge! No shoes? No problem. Northwoods Outfitters in Greenville and The Birches Resort in Rockwood both offer equipment rentals. 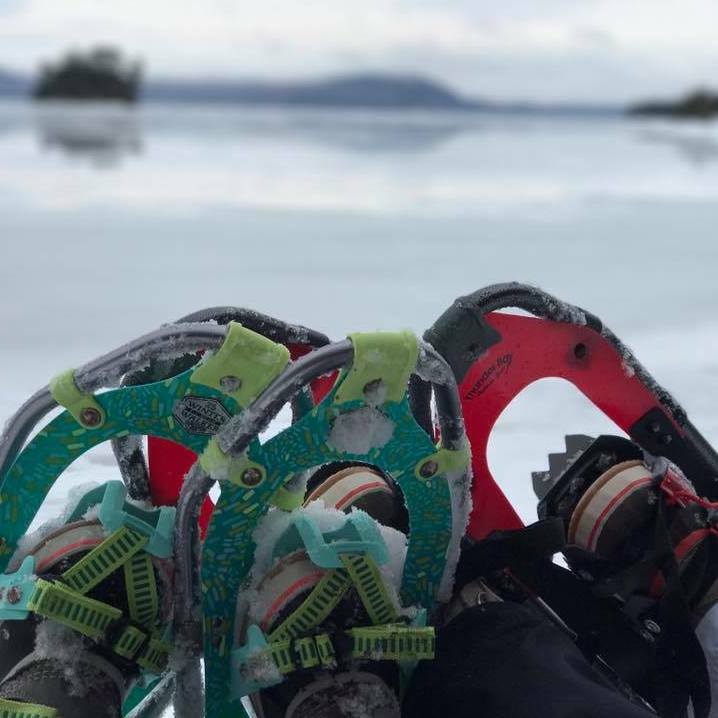 If you are tackling one of the mountains, we suggest you ask the Northwoods Outfitters team which footwear would be ideal. 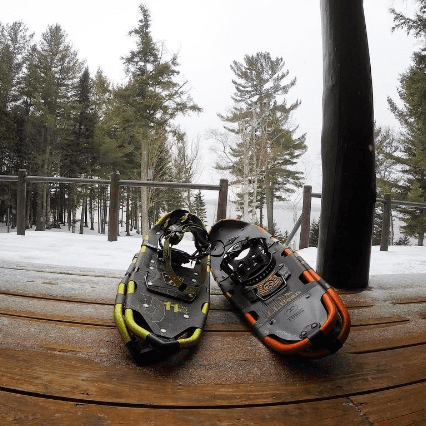 Microspikes may serve you better than a pair of snowshoes.